With September in full swing and students filling up local schools and campuses, we have put together a back to school guide for all ages! Whether you've got little ones starting back in school or you're moving into your new campus housing for college, check out our top recommendations to have you ready to take on another awesome school year! With four different kind of nuts to choose from and a variety of flavors, you can be sure to find the perfect snack while you're on the go. They also sell granola so you can switch it up! Here you can find anything from pillows to bags of all different sizes. Either will make for a great accessory for your dorm or outfit! These wall hangings make for the perfect addition to any wall. Add some texture to create a more eye catching focal point in your room! Bring a pop of color to any room with these fun and vibrant paintings! Shop a variety of flowers and color schemes to fit your vision perfectly. Can't find exactly what you're looking for? Not a problem, Paige Lindsey Designs also offers commission work! The perfect meal for everyone— vegan, soy free, dairy free + healthy! Doesn't get any better than that! New to having a kitchen? Need a better way to keep the counters clean? Tired of the same yellow colored sponge? Sweetgum has you covered with washer safe, expandable cleaning cloths in cute patters to make cleaning even more fun! Stop by to grab some matching dish towels too! 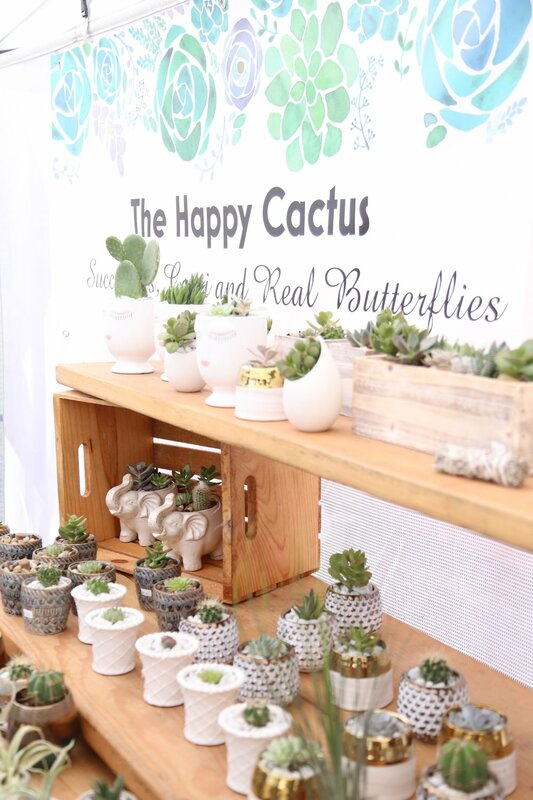 Large to small, pointy to prickley, plants to butterflies— The Happy Cactus Gifts have every type of plant you'll need to bring nature into your home!